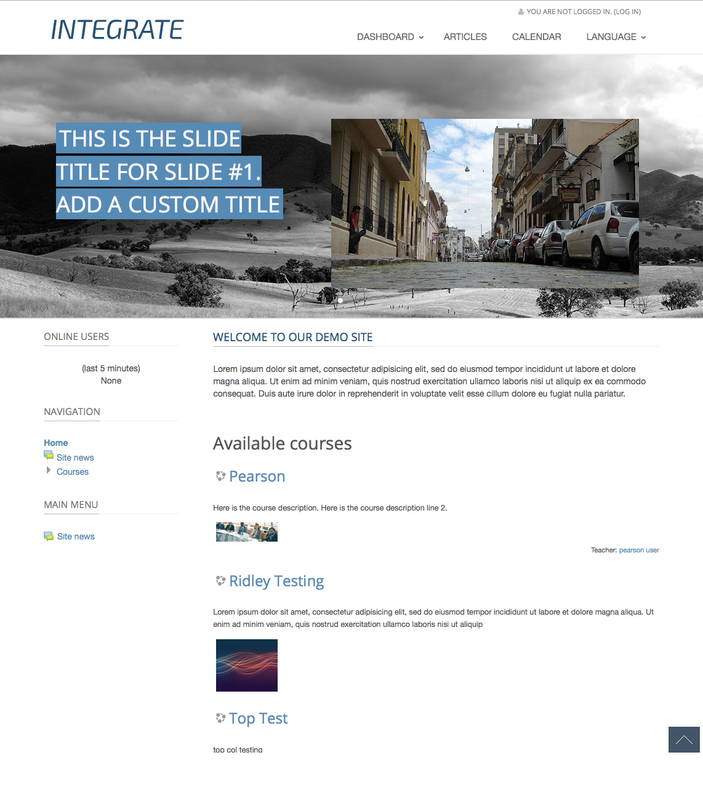 Integrate is a new theme for Moodle 2.5+ that features a custom frontpage parallax carousel with HTML captions that can be configured from the theme settings page. For a closer look and to try out a demo, check it out here. A custom theme settings page also includes settings for logo, background color, header/block color, footer info, carousel and more.